Surrender charges - If you withdraw money from a variable annuity within a certain period after a purchase payment (typically within six to eight years, but sometimes as long as ten years), the insurance company usually will assess a "surrender" charge, which is a type of sales charge. This charge is used to pay your financial professional a commission for selling the variable annuity to you. Generally, the surrender charge is a percentage of the amount withdrawn, and declines gradually over a period of several years, known as the "surrender period." For example, a 7% charge might apply in the first year after a purchase payment, 6% in the second year, 5% in the third year, and so on until the eighth year, when the surrender charge no longer applies. Often, contracts will allow you to withdraw part of your account value each year - 10% or 15% of your account value, for example - without paying a surrender charge. Mortality and expense risk charge - This charge is equal to a certain percentage of your account value, typically in the range of 1.25% per year. This charge compensates the insurance company for insurance risks it assumes under the annuity contract. Profit from the mortality and expense risk charge is sometimes used to pay the insurer's costs of selling the variable annuity, such as a commission paid to your financial professional for selling the variable annuity to you. Administrative fees - The insurer may deduct charges to cover record-keeping and other administrative expenses. This may be charged as a flat account maintenance fee (perhaps $25 or $30 per year) or as a percentage of your account value (typically in the range of 0.15% per year). Underlying Fund Expenses - You will also indirectly pay the fees and expenses imposed by the mutual funds that are the underlying investment options for your variable annuity. 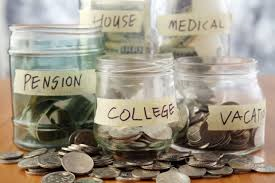 Fees and Charges for Other Features - Special features offered by some variable annuities, such as a stepped-up death benefit, a guaranteed minimum income benefit, or long-term care insurance, often carry additional fees and charges.